FIG 1. Portrait Joseph Karl Stieler of Ludwig van Beethoven when composing the Missa Solemnis, 1820. Ludwig van Beethoven (baptised 17 December 1770 – 26 March 1827) was a German composer and pianist. A crucial figure in the transition between the Classical and Romantic eras in Western art music, he remains one of the most famous and influential of all composers. His best-known compositions include 9 symphonies, 5 concertos for piano, 32 piano sonatas, and 16 string quartets. He also composed other chamber music, choral works (including the celebrated Missa solemnis), and songs. To complement our special August issue cover story, Riccardo Chailly talks to Philip Clark about how Beethoven's symphonies have influenced generations of composers. The Symphony No. 5 in C minor of Ludwig van Beethoven, Op. 67, was written in 1804–1808. It is one of the best-known compositions in classical music, and one of the most frequently played symphonies. First performed in Vienna's Theater an der Wien in 1808, the work achieved its prodigious reputation soon afterwards. E. T. A. Hoffmann described the symphony as "one of the most important works of the time". The Symphony No. 6 in F major, Op. 68, also known as the Pastoral Symphony (German Pastoral-Sinfonie), is a symphony composed by Ludwig van Beethoven, and completed in 1808. One of Beethoven's few works containing explicitly programmatic content, the symphony was first performed in the Theater an der Wien on 22 December 1808 in a four hour concert. The Symphony No. 9 in D minor, Op. 125 (sometimes known simply as "the Choral"), is the final complete symphony of Ludwig van Beethoven (1770–1827). Completed in 1824, the symphony is one of the best-known works of the repertoire of classical music. Among critics, it is almost universally considered to be among Beethoven's greatest works, and is considered by some to be the greatest piece of music ever written. Text and translation of Symphony No. 9's Finale, by Friedrich Schiller, with a little intro by Beethoven. It has been quite long time since I last wrote an article in my blog. It was a quite difficult period with a lot of stressful momments. So I decided to write today something that I'm quite familiar with and start feeling even for a few minutes that I'm walking on my dreams. One of the most influential personalities in my life was Ludwig Van Beethoven. I know it's not very common for a child at the age of seven or even older to have such an "idol", but I was feeling very comfortable with his music. Due to the complexity and difficulty that it had I was inspired to learn more and more things about classical music in general. The main purpuse of my article today is not to talk about who was Beethoven, as you could easily find all this information in Wikipedia . Instead, I will try to present you some of my favorite pieces which some of them made him well known. The motivation behind it, apart from the memories I have from my childhood and a collection of CDs from Deutsche Grammophon I possess, is an article I read some time ago from Gramophone, "How Beethoven’s symphonies changed the world" . Before I start, just a short introduction of who was Ludwig van Beethoven. He was a German composer and a virtuoso pianist that he was born probably on 16th of December 1770 and died on 26th of March 1827. He is considered one of the most influential figures in the transition from the Classicial (1730–1820) to the Romantic (1815–1910) eras in Western art music . He has written more than 300 compositions including symphonies, concertos for piano, piano sonatas, choral works and chamber music. In my humble opinion one of the most famous pieces that have been ever written in Music is the penetrating, full of passion and melody, the Symphony No.5 in C minor (fig. 2). It was written in 1804 - 1808 and it's characterized by the short melody ("dit-dit-dit-dah") that is introduced at the begining of the work and is being repeated throughout in different variations. The name "The Victory Symphony" was taken after the II World War as a a symbol of the number "V", which is the 5th number in the Roman numeral and stands for victory. This comes from the fact that the ("dit-dit-dit-dah"), i.e. three sort notes followed by a long one are being used as a symbol of the letter "V" in the Morse code which might though be coincidental . In the list of Beethoven's Symphonies I wouldn't leave out the Symphony No. 6 (fig. 3), and No. 9 (fig. 4). 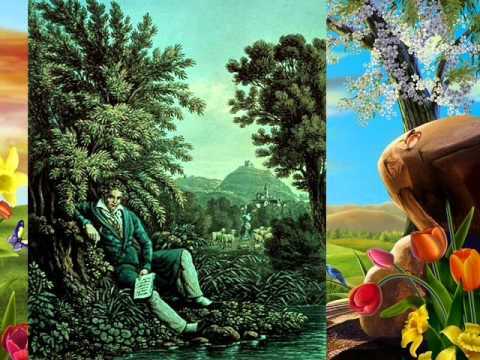 The first one, known also as "The Pastoral Symphony", which was composed in 1808, was the result of Beethoven's love of nature . For instance the 1st part (beginning of the work) is a cheerful feeling of somebody arriving in the countrysiide, while the 4th part (after 29min, 22 sec in fig. 3) depicts a violent thunderstom folowed by few drops of rain and lighting. The next of my favorites pieces in the raw is the "Moonlight Sonata" (fig. 5) written in 1801. It's initial name was "Quasi una fantasia" and it had beed dedicated to his pupil Countess Guilleta Guicciardi as a sign of love. It's nickname "Moonlight Sonata" was taken in 1832 due to the fact that the 1st movement (beginning of the piece) was likened to the moonlight shining upon Lake Lucerne . From the whole piece I also distinguish the 3rd movement (7min, 43sec in fig. 5), which is characterized by a stormy sound with many fast arpeggios and strongly accented notes. 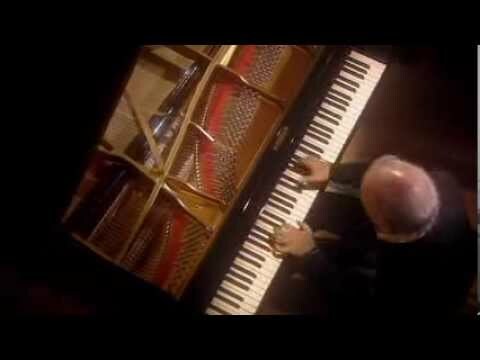 Three more of my favorite piano sonatas are the "Pathetique" (fig. 6), the "Waldstein" (fig. 7) and the "Appassionata" (fig. 8), which were written arround 1800. All of them are characterized by melodic and fast passages full of passion and energy. Although all of them are technically advanced and challenging, the Appassionata was considered by Beethoven the most tempestuous one. 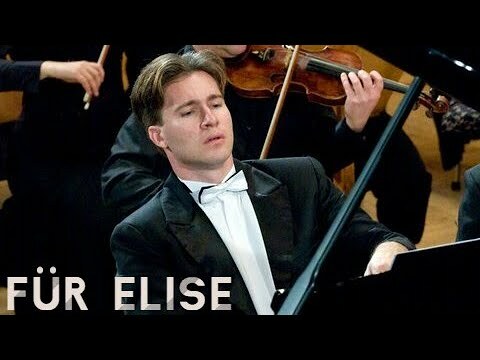 Second to the last is the "Für Elise" (fig. 9), a short piece (known also as bagatelle) which is supposed to be his most popular composition. The composition was written in 1810 but it was only published after 40 years from Beethoven's death in 1867. To be totally honest, from my personal perspective, although it's very medolic, it was not one of my most favorite one. Probably because I've heard it so many times and I find it a little bit boring. However the version I found (fig. 9) is a variation for piano and an orchestra which magnifies even more the fact of its popularity. 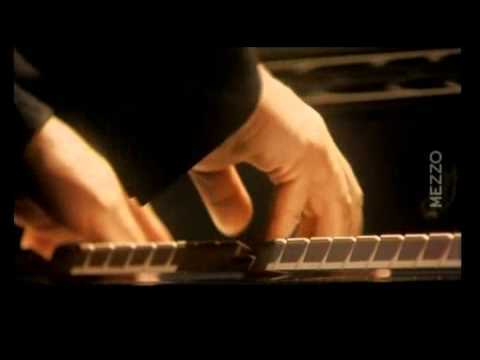 As a conclusion to Beethoven's composition, I wouldn't forget the "Spring Sonata" (fig. 10). 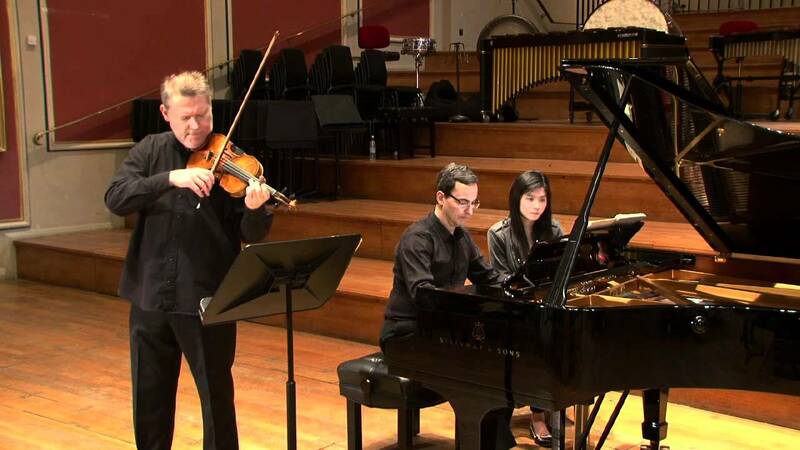 A violin sonata written in 1801 that begins with a wonderful melody by the violin and repeated by the piano. 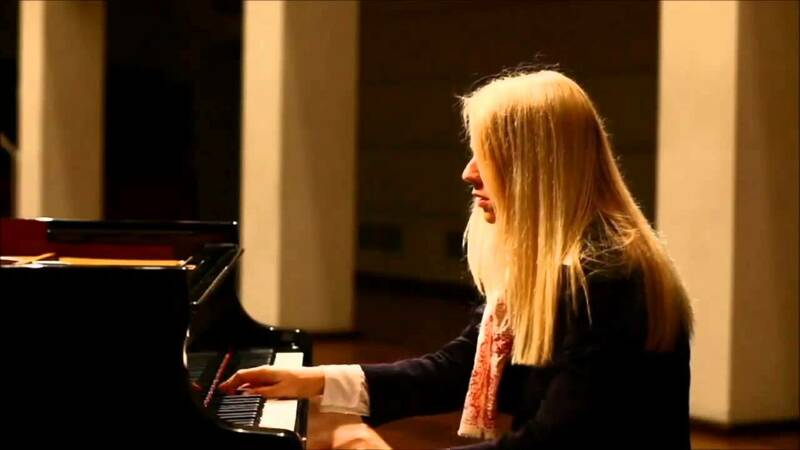 The composition is full of joy and very refreshing, full of immediate, simple and elegant melodies. No wonder why it has taken the name the "Spring Sonata".